A very versatile hairvine. 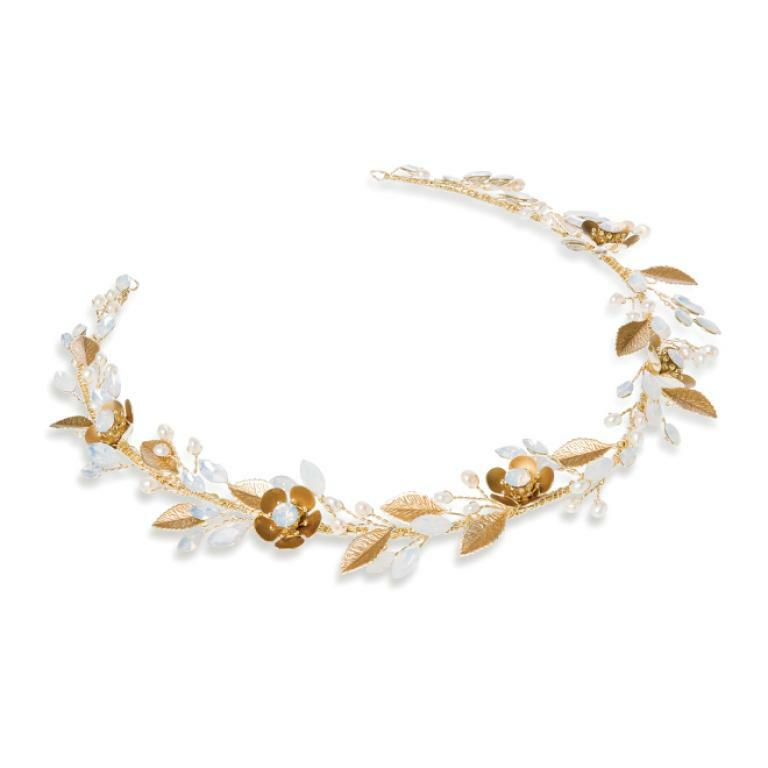 Solitaire and marquise cut opalescent crystals, ivory freshwater pearls and dainty hand enamelled flowers and leaves are interwoven in a special flexible metal to allow for comfort. This delicate and stunning piece can be worn on top of the head as with a traditional headband, around a chignon or over the forehead for a more bohemian look and suits most up or down hairstyles. Bronze Dream is a pretty and delicate floral hairvine. 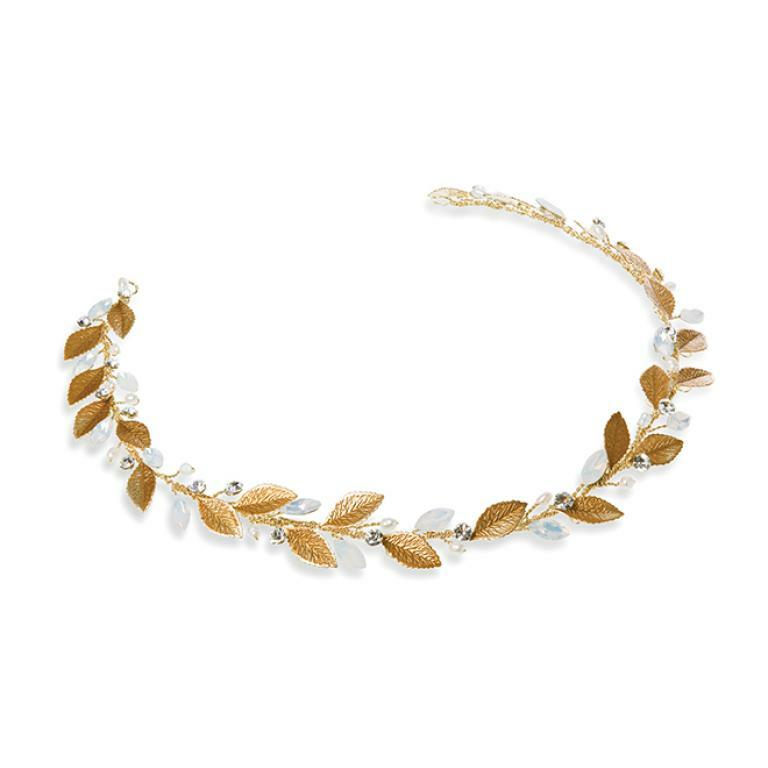 Solitaire cut crystals , marquise cut opalescent crystals and real freshwater pearls are interwoven with delicate bronze enamelled leaves along the entire vine to create a fabulous bohemian look. 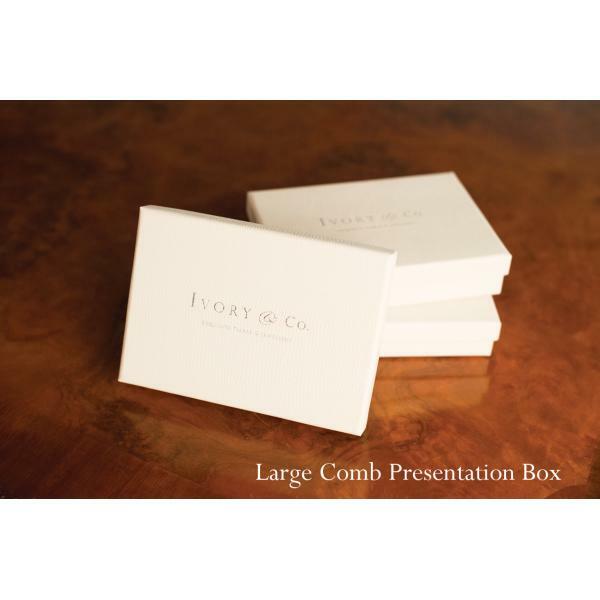 This versatile piece is ideal for woodland, garden or beach themed weddings.